One of my FAVORITE moments of every wedding day is when my bride & groom decide to share a first look!! There's nothing like getting to capture those first few moments of the groom seeing his bride in her wedding dress! The emotions between the two of them are always the best, & I usually end up holding back my own tears!! Today, I wanted to share a few of the reasons why I feel it's so important for a bride & groom to share a first look on their wedding day!! 1. It's just the two of you! 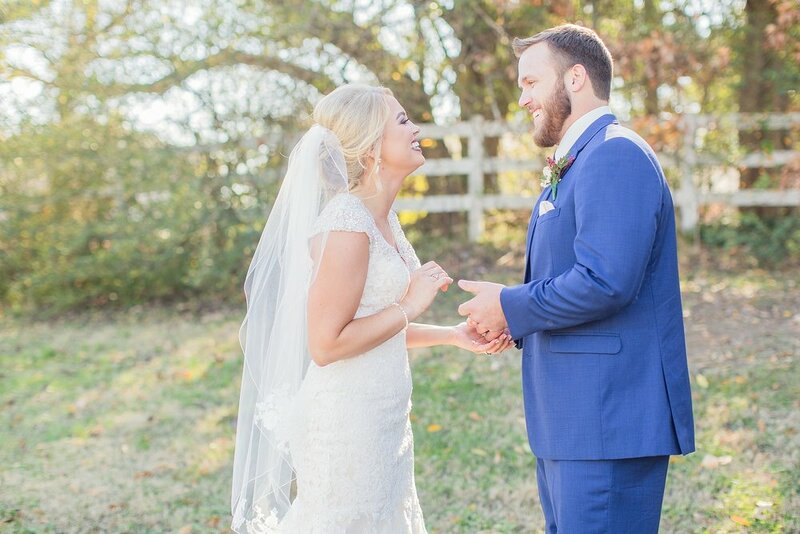 Every couple I work with says they're so glad they chose to do a first look because they got to see each other for the first time on their big day privately, instead of sharing that moment in front of all of their family & friends! As much as that moment you walk down the aisle will still be SO special, you & your groom deserve to have your first moment together, just the two of you! You'll get to take your time talking & really enjoying the moment, instead of having just a few moments in front of everyone during your ceremony. 2. You'll get to spend SO much more time together during your big day! From my own experience, your wedding day is going to absolutely FLY by!! The day will be over before you know it, & if you're like me, you'll want to be able to embrace every single moment you can on what's supposed to be the biggest day of your life! I am SO glad that Dylan & I did a first look, because it meant that we got to actually spend time together on our wedding day! Since most receptions only last a couple of hours, without a first look, that'll be the only time you'll get to spend with your then husband, & you'll be sharing that time with your family, friends, & guests while you try to eat, dance, & thank everyone for coming! After our first look, it was SO much fun getting to take pictures together as well as with our wedding party & family! Seeing Dylan before our ceremony calmed so many of my nerves & helped me truly be able to enjoy the entire day, because I was getting to spend it with my very best friend in the world! 3. You will have SO many more portraits of the two of you!! Obviously as a photographer, I feel that one of the most important reasons to do a first look is so that you & your groom will have has many portraits of the two of you as possible!! Without a first look, you're only giving your photographer a small window in-between your ceremony & reception to be able to take photos of the two of you. I've had several couples I've worked with who chose NOT to do a first look say that they felt SO rushed during that portrait time, because they knew that their guests were waiting on them to get to the reception. As much as your photographer should be able to capture great portraits of you & your groom regardless, it'll be so much better for you two to not feel rushed & actually be able to ENJOY your portrait time before AND after your ceremony! When my couples choose to do a first look, we're able to take ALL of their bride & groom portraits, wedding party portraits, & family portraits before the ceremony!! Then after they say "I do", we get to take some special portraits during golden hour, what I love to call "sunset portraits"! This only takes about 10-15 minutes, & it's so special because it's the first few moments after you've become husband & wife! The joy that I get to capture during this time is always my favorite!! 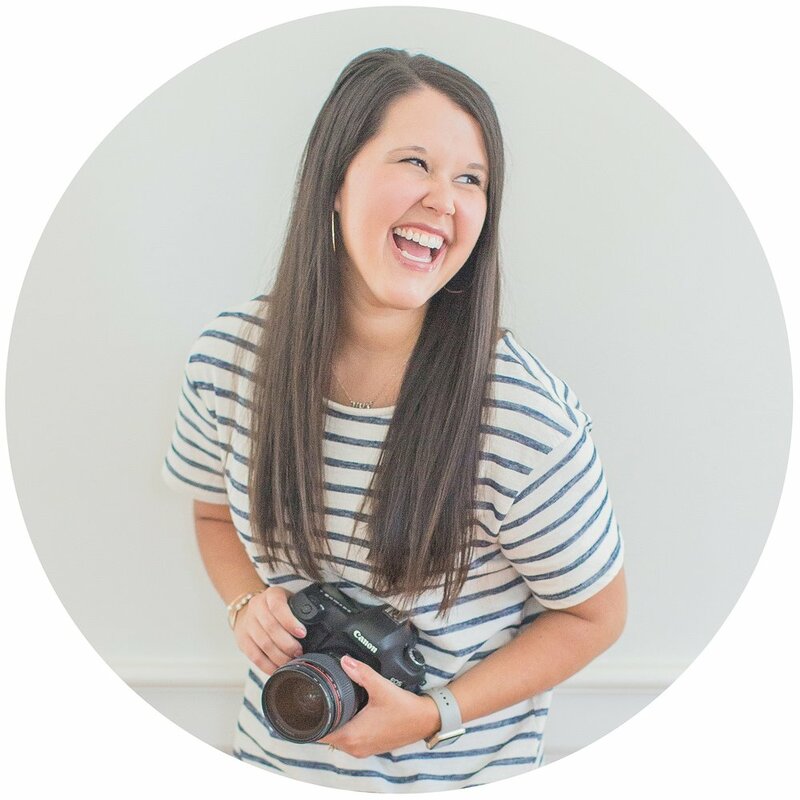 I shared more about why I love first looks in this video made by my amazing friend Megan Pettus Videography!